Sixty years ago, Japan's third-largest city, Osaka, and San Francisco became "sister cities." Friday, Osaka Mayor Hirofumi Yoshimura vowed to end the relationship after San Francisco officially designated as city property a statue memorializing WWII "comfort women" forced to work in Japanese brothels to service the country's soldiers. The Japan Times reports that some politicians in the Osaka city assembly also were concerned that Yoshimura's actions could harm the city's reputation abroad, and petitioned him to find a solution through dialogue. Three Nebraska communities have sister city ties to two Japanese cities: Arapahoe and Hastings with Ozu and Omaha with Shizuoka. Nebraska's first international office, the Nebraska Center Japan, opened in Yokohoma in 2006 and is the main point of contact for Japanese businesses looking for business opportunities in Nebraska. 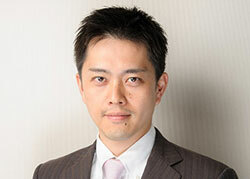 It is led by Koji Nagasaka, who serves as executive director of the office. Nagasaka-san leads a team promoting Nebraska’s products and services and connects Nebraska businesses with Japanese companies.